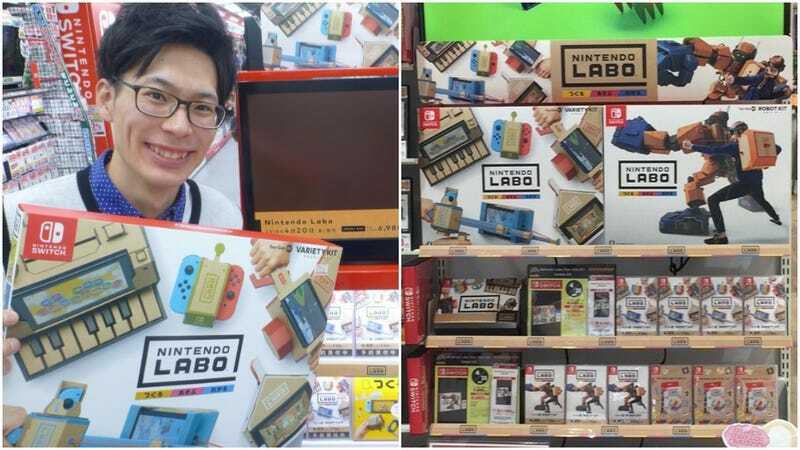 Nintendo Labo display kits are starting to appear in Japanese retail shops. The boxes themselves are good sized, which isn’t that surprising if you’ve seen the cardboard Nintendo Labo sheets. It’s up to you to fold the cardboard, not Nintendo! While the boxes are a decent size, they are not that thick.